That's over 200 of the 4,665 petitions for divorce they've received this year. The company is one of the UK’s largest filers for divorce petitions, and to them, it’s “no surprise that more and more people are having relationship problems because of our digital addictions.” The birth of the internet has caused many issues in marriages, they say, and is joining the ranks of drugs, alcohol and gambling. 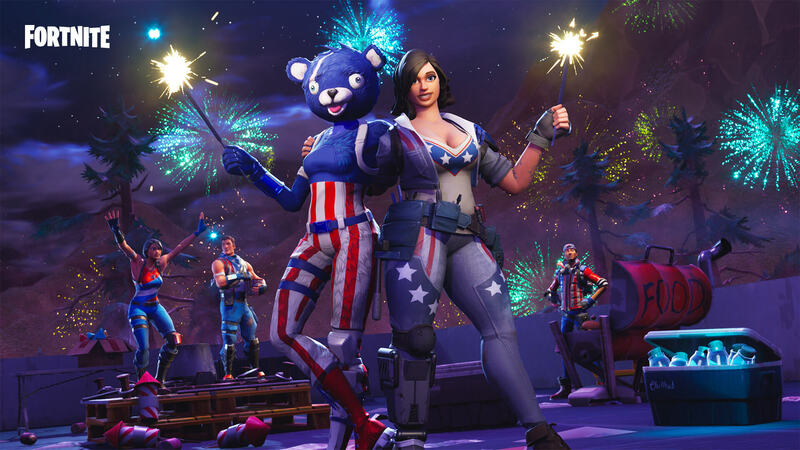 It’s no secret that Fortnite has become something of a global sensation, with over 125 million registered players and several million players online at any given time. But let’s look at what that 5% statistic really means if we apply it to the American population. 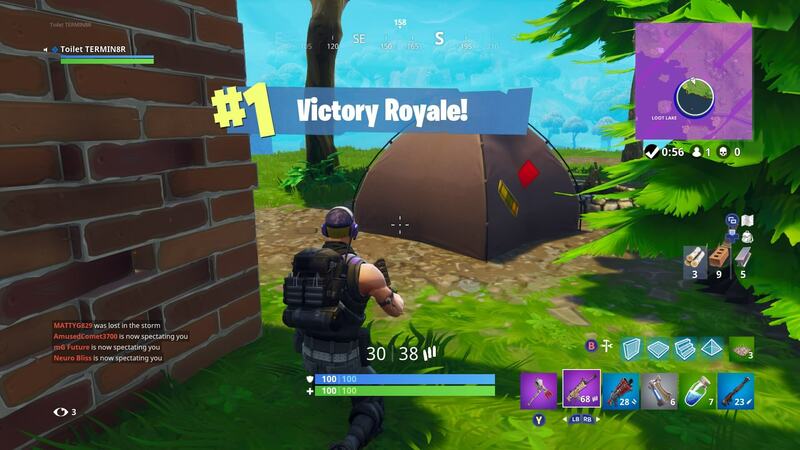 A commonly quoted statistic is that somewhere in America a person files for divorce every 13 seconds, meaning someone files for divorce blaming Fortnite and other online games every 5 minutes. I’m not sure where the 13 seconds originates from, but using the American census data from 2016, I calculated that a divorce occurred every 38 seconds. That would be a gaming-related divorce every 12.5 minutes today. That would also imply that there will be over 40,000 divorces this year caused by gaming addiction. Yikes. Gaming addiction is becoming a heavily debated topic, with the World Health Organization classifying it as a mental health disorder, and several treatment centers already opening. Concerned parents and several politicians have claimed it promotes violence, while many gamers insist it’s just a healthy hobby. If it is ruining your relationship, though, it might not be a bad idea to get treatment. This actually started quite a while ago, back when consoles first got network support (PS2 era). We had a guy in our clan who would come home from work every night and just play SOCOM until it was time to go to bed. Weekends? All day. Needless to say, his wife eventually served him with papers and took the kids. **Lack of self control is resulting in hundreds of divorces. Clamyboy74, Reehahs, ZackL04 and 5 others like this. Could you pick a worst game to ruin your life over? It just doesn't make sense to me. avioza and EEatGDL like this. Well if you don't like the game, that's fine. The thing is, the popularity of the game says you're wrong. Clamyboy74, Kibaruk and davislane1 like this. Then it wasn't meant to be. It's sad and all, that sometimes we lose our self control. You can develop an addiction to just about anything, but whether you surround yourself with people who actually love you, and can see there's a problem instead of just giving up and leaving, I think that's what makes a difference. I'm saying, it doesn't matter if it's a video game or meth... if you see someone spending a great deal of their resources on one single item, it may be time to intervene. We basically need to update wedding vows as followed "for better or worse". People are no longer born with the commitment gene. Clamyboy74, Reehahs, Agnomen and 2 others like this. If Fortnite didn't exist they would replace it with something else and still eventually divorce. That is the type of people we are talking about. Divorced from reality they are. Clamyboy74, Kibaruk and ZackL04 like this. Divorced from reality they are. Assuming they were once one with reality. thats like saying if opiates didnt exist people would still find something to get addicted to. Clamyboy74 and gamoniac like this. FAKE NEWS: "That would also imply that there will be over 40,000 divorces this year caused by gaming addiction." I find it VERY DIFFICULT to believe that 40,000 American divorces are caused by gaming in a year (that's what the author is applying a 5% UK divorce poll about gaming addiction to). There is NO WAY that number can be true when applied to ALL divorces! Now did 5% randomly mention gaming as "A PROBLEM"? Sure... but it's NOT, NOT, NOT, THE MAIN PROBLEM that a couple gets divorced. Obviously, a gaming addiction means they're not spending / not wanting to spend enough time with their spouse, which has many other underlying causes as the REAL PROBLEM. If you're addicted to a 2D fantasy / social media / world instead of the 3D person you live with, you have other problems. Fortunately for me, my wife is also a gamer so it’s all good for me. Clamyboy74, Polycount and Agnomen like this. What I said is they would use something else as an excuse for the divorce, not that they would get addicted to something else. Nobody divorces because of Fortnite alone. Well I have recently split from my partner. Part of that reason was that I was spending more time on my laptop than I was with my wife and family. But there was other issues too of course and it wasn't just all my fault the marriage ended. What's really odd is that since I moved out I have barely touched my laptop to play games. I just don't find gaming fun at the moment. Then again I start to think that my addiction to gaming was pointing more at problems with my relationship with my wife rather than a physical addiction to gaming. Ret4rds. Over a sh*t game aswell. Enjoy. It's just common stupidity, nothing new or interesting. Do I mean topic or this article ... the mystery remains. Game addiction or jealousy of the game? Likely both. Goes to show that while there is a physical part of addiction, there's a mental part too, and it can be just as strong. Addiction is just hooked on a feeling. Games dont ruin relationships, people themselves do, blaming it on a game is childish. Lack of control as someone said. Oh, the fallacy of popularity. If something is popular, it's just popular; it doesn't become the best or the right thing. If the majority of the population is stupid, drunk, or can barely support a family economically: that doesn't mean that's the right way to be/live.